The deadline to get notarized petitions in the mail to Steve is November 25th! We're in the home stretch and can really use your help. 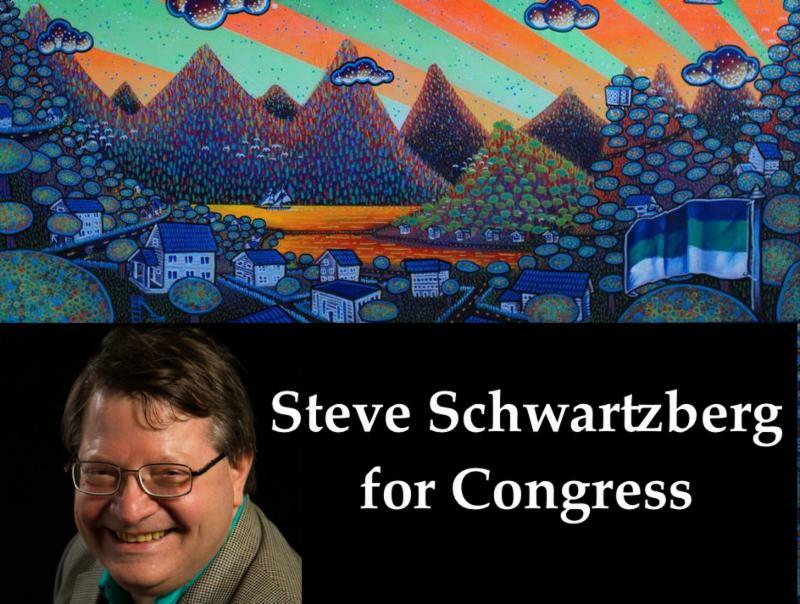 Those who are willing to circulate petitions to get Steve's name on the ballot, can now download petitions and instructions here . Happy Thanksgiving! As we think about what we are grateful for this Thanksgiving, let us also take a little time to remember where we have been as a people and where we are going. We, as a society, years from now, will ultimately judge ourselves—and as I believer I think we will ultimately be judged by God—in no small measure by the way we treat our poor, our sick, our elderly, our undocumented immigrants, the prisoners in our jails and, especially, the native peoples. To be the kind of society we want to be—a society marked by civility and compassion—we must understand not only the good that we have done in the past, and the progress we have made, but also the evil that we have done and of which we must repent. Perhaps the single most genocidal event in American history, after the illnesses that were caused by unfamiliar viruses on first contact, was the Trail of Tears and Death that we forced the Cherokees and their native neighbors to march upon in the 1830s, at a loss of perhaps a quarter of the lives of those so coerced. There was very considerable opposition to what was then called “removal” in American public opinion, in the Congress, and in the Supreme Court. But this opposition was ultimately unable to rally sufficient support for tribal sovereignty, unable to overcome the state of Georgia’s racist aggression against the sovereign rights of the Cherokee Nation and unable to overcome the willingness of the administration of President Andrew Jackson to support that aggression. The beginning of justice for the native peoples of America is recognition of the fact that under our own Constitution, as well as under international law, the Indian tribes are entitled to all the rights of foreign states—they have the right to sue states of the United States in the Supreme Court for violations of their treaty rights and to expect that, in seeking to adjudicate, the Supreme Court will rely on international law rather than on what the American Bar Association calls “Federal Indian Law.” The United States is morally and legally bound to abide by its word as given to the Indian nations in the treaties it has signed with them. We are obliged to reopen a treaty making process with the native peoples and to cease attempting to rule over them as if they were in any way our subjects or subject to our jurisdiction. Faced with centuries of American incivility, and its legacies of injustice and brutality, what can the native peoples do? In the absence of the rule of law—which for American Indian nations ended with the end of even the pretense of equal rights under the law in Cherokee Nation v. Georgia in 1831—the Cherokee jurist Steve Russell has suggested that each tribe needs a well ordered militia: “Not a militia in the style of the Sons of Liberty but rather in the style of the Southern Christian Leadership Conference.” While Gandhian nonviolence should not be attempted over ordinary issues that can be negotiated, Russell writes in a book called Sequoyah Rising , its power is evident in the history of the American labor and civil rights movements: “Willingness to die for the truth always holds an advantage over willingness to kill for greed or for the sake of just following orders.” These nonviolent militias, if they are to succeed, must draw their strength from the peoplehood of each nation and this, in turn, will require traditions that are “smoldering” to catch fire. Russell advocates the development of an all-tribal Bill of Rights and the establishment of an Indian Nations Supreme Court to uphold these rights. He is well aware that the idea of an Indian “race” is a fraud at odds with the peoplehood of the individual Indian nations. But, he maintains, “if we cannot use that fraud to engage in horizontal relations with each other we shall all be crushed in our vertical relations with the United States. We must realize that while all Indians are not the same or even similar, they are similarly situated vis-à-vis the United States.” To this I would add that while the American commitment to support democracy cannot be relied upon, it has been a real component of American policy in the past—both for good and for ill—and perhaps someday some lasting good may finally come of it for the Indian nations. If so, it will only be because tribal sovereignty is respected first.